ALWAYS THERE WILL BE A SPARTAN RACE FOR YOU. Companies, gyms, Boxes, clubs…We have special packages for you! As much people register better will be the price. SPRINT: The Sprint is the best race for all the members of yout team. No matter the level, everyone will have a full feeling of transformation at the finish line. SUPER: The super is designed to push the team to overcome their physically and mentally limits. BEAST: These is the maximum distance in Spartan Race, this distance will transform your company’s best athletes. Without excuses! 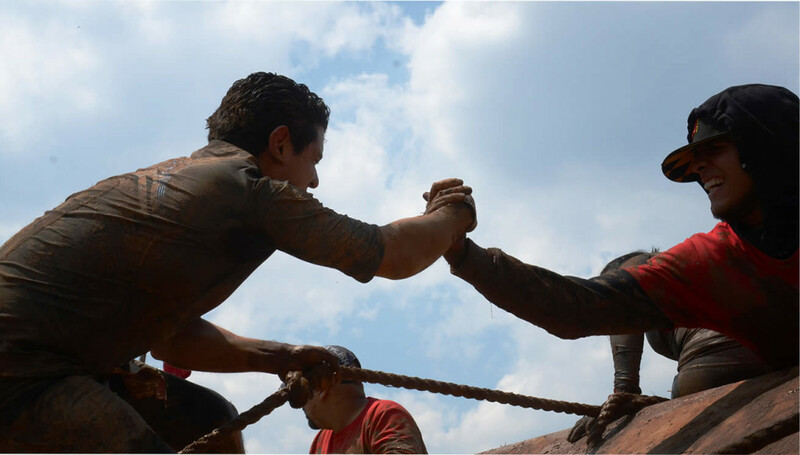 Spartan Race Corporate package is MORE… More than a innovative activity for your company. More than a team experience. More than a hospitality opportunity. More than racing together. More than an attractive price alternative. Actually, a Spartan Race Corporate Package offers a chance to feel the company transformation happening in front of your eyes. A Spartan Corporate Package is more than an experience. It is a way to develop soft skills such as grit, generosity, leadership, team spirit, resilience, commitment, innitiative, attitude, innovation, creativity and so many others at the same time than it develops corporate values at the level of your people. It is more than a Corporate Package. It is a Corporate Revolution. HOW TO CHOOSE YOUR COMPANY PACKAGE?